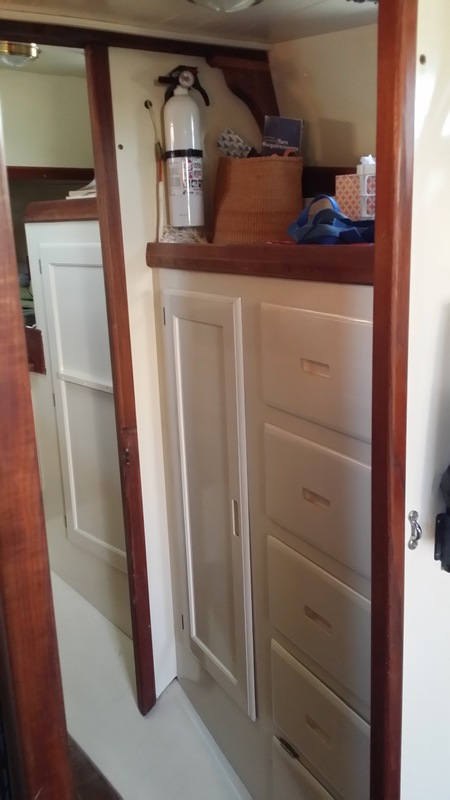 Hull #448, 1975 Westsail 32. 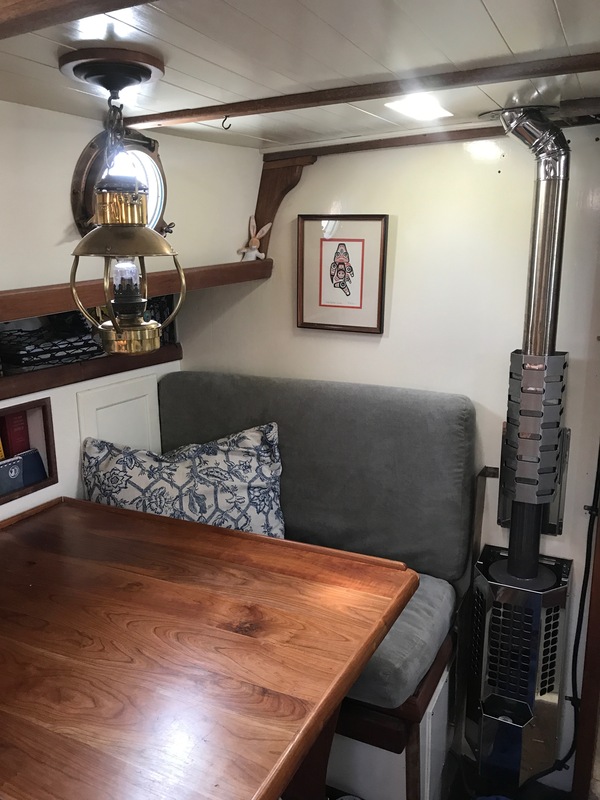 Extensive 2 year refit includes deck & hull joint reseal with 5200, all standing rigging replaced, new chain plates, new forward hatch, complete interior and exterior paint. Bottom is barrier coated. 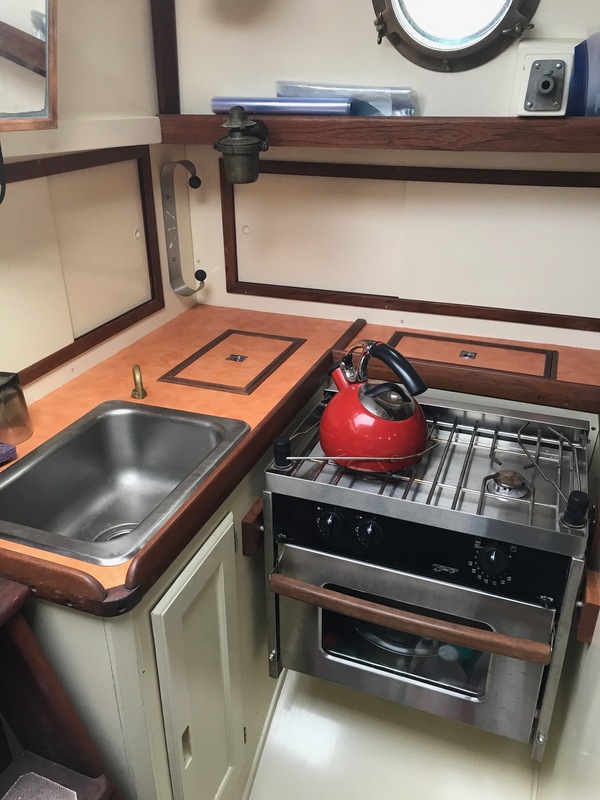 Cabin completely refurnished with new upholstery, cedar overhead throughout, new 12v wiring, new Force Ten gimbal stove & oven, new cherry dinette table. Head redesigned with sink & Airhead composting toilet. New SS fuel tanks, new Maxprop, new stainless shaft and shaft saver, new cutlass bearing, 3 new 12v batteries. Yanmar 30hp engine. 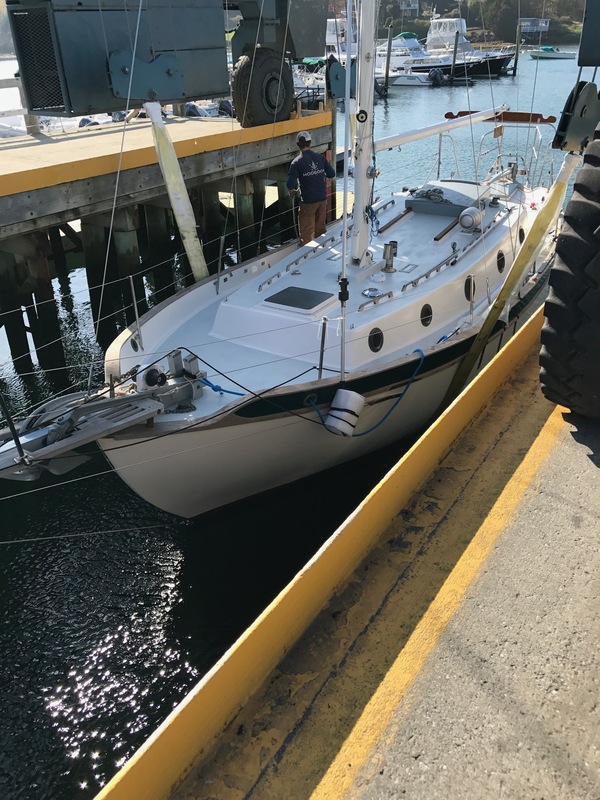 New Rocna Vulcan 44# anchor plus a CQR, a claw and 300' of 5/16 anchor chain. 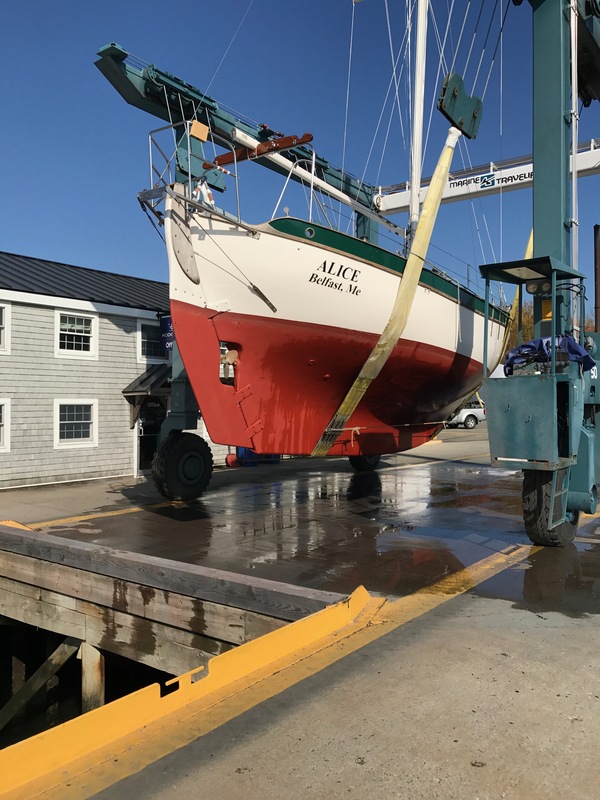 Harkens Gib Furling System. 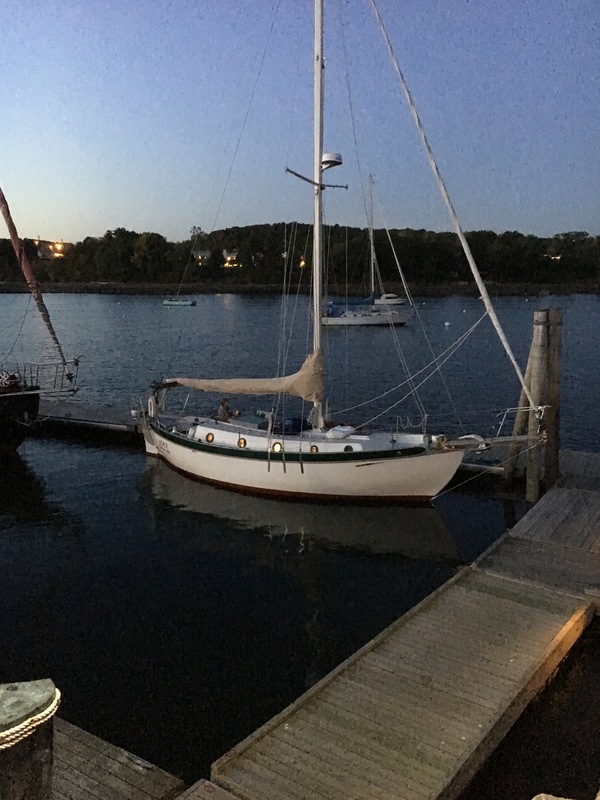 New Bohndell mainsail and staysail. New Garmin chart plotter & radar with 18" radome. ICOM VHF radio. AIS Receiver and Transponder. Ready to cruise. Located in Winterport, Maine.